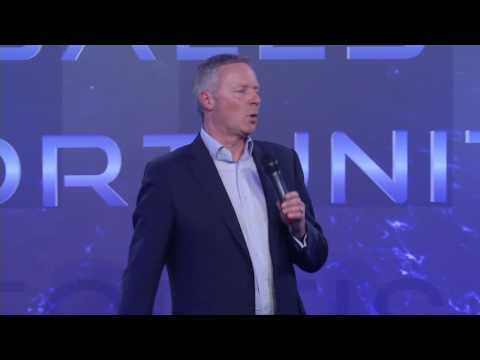 Impressionist, comedian, satirist, translator, columnist, writer, presenter, ballroom dancer, actor, Rory Bremner is either multi-talented or indecisive or both. Born in Edinburgh in 1961 and educated at Wellington College and Kings College London, (BA Hons, French and German) Rory is perhaps best known for writing and starring in the political satire show Bremner, Bird and Fortune, for nearly twenty years a mainstay of Channel 4’s comedy output. He won back-to-back BAFTAs for Top Comedy Performance in 1995 and 1996, together with three Royal Television Society and two British Comedy Awards. Most recently Rory has captained on the comedy panel show The Imitation Game for ITV. He also returned to the Edinburgh Fringe in 2018 for an impressions-packed performance with co-star Jan Ravens. In 2017 he fronted an episode of BBC’s Horizon – ADHD and Me with Rory Bremner, to uncover the science of the condition. This followed on from his Radio 4 documentary which explored his own self-diagnosis of ADHD. 2015 saw the return of Rory Bremner’s Coalition Report after 20 years! In the same year, Rory tackled the General Election with three side-splitting episodes, he took on the many faces of politics in a satirical and theatrical report alongside a list of other well-known comedians. Never one to duck a challenge, Rory competed on Strictly Come Dancing in 2011, partnering Erin Boag and specialising in waltz and quickstep before losing out to Nancy Dell’Olio in the Cha Cha Cha. There will be a reckoning. Meanwhile, he has co-written and presented two satirical Radio 4 series, Tonight and Bremner’s One Question Quiz, toured the country recording Rory Bremner’s Great British Views for ITV, hosted the quiz-show Face the Clock for Channel 4, and written and presented a documentary on Scottish Independence, Rory Goes to Hollyrood (BBC). In 2013 he made his theatrical debut in Trevor Nunn’s production of Noel Coward’s Relative Values (Bath Theatre Royal) prior to a West End run at the Pinter Theatre. His breakthrough TV appearance was on Wogan in 1985, following which he had his own series on the BBC from 1986 to 1991. He has since guested on many of Britain’s top comedy shows on radio and TV, including Spitting Image, Whose Line is it Anyway, Have I Got News for You, Mock the Week (team captain for two series), The News Quiz, The Now Show, 7 day Sunday and QI. He appeared more often than any other guest on Britain’s top talk shows, Wogan and Parkinson. Rory often guests on The Andrew Marr Show, where he reviews current political events through his many characters. Besides live tours and numerous corporate engagements, he has also presented documentaries on Scottish Soldiers and Diaries for BBC4 and traced his family history on Who Do You Think You Are (BBC). With John Bird and John Fortune, he also wrote and appeared in numerous specials, including Between Iraq and a Hard Place, My Government and I and Silly Money, and a book, You Are Here, published in 2005 (a stockpile of satirical ammunition – Daily Telegraph). When not working (!) he enjoys travel, opera, cooking, sport (especially cricket- he had a 1985 Top 20 hit as The Commentators with N.n..nineteen not out) and motor racing – he owns a 1963 Alfa Spyder. He is also a Patron of ADHD Foundation. Married to the artist Tessa Campbell Fraser, with two daughters, Ava and Lila, he divides his time (badly) between London, Wiltshire and the Scottish Borders. I just wanted to say thank you for making the night such a success – and for all you did to make it so seamless and fun. Your performance and humour were just fabulous and kept the whole thing moving along. The compliments have been flowing in and all the guests and sponsors seemed to have loved the evening – and particularly your input. So thank you very much indeed. Rory was absolutely superb and an absolute delight, on and off stage. On stage he struck the perfect tone, mixing local references and global satire with ease. His humour and uncanny impressions had the audience laughing from start to finish. It was polished, professional and perfect, holding 530 people on his every word. Off stage, Rory was brilliant with our guests, sponsors and their clients, helpful to us as organisers and very involved in our event. I am extremely grateful. I would not be surprised to see Rory back in Jersey for us, or another corporate event. Rory hosted 6 episodes of “GESF Live!” – a television show, modelled on the format of a late-night chat show, filmed during the Global Education and Skills Forum in Dubai in March 2018. It was a pleasure to work alongside Rory on this project; he was very professional and down-to-earth throughout the process and his talents as an impressionist, as well as his creativity and intelligence contributed to the overall success of the show. From the outset, he was very engaged in the show’s development, offering his time to participate in planning meetings with the show’s creators. During these initial meetings, Rory brought his humour and creative input to the process, making the planning enjoyable for everyone! He demonstrated real interest in the show theme (education) and depth of knowledge in current affairs which helped create content which was both relevant and high quality. During the filming in Dubai, Rory was very professional and delivered consistently throughout a very intense filming schedule (6 hour-long shows in a 2-day period). He was able to absorb a lot of information and hold conversations that were both entertaining and engaging with high profile guests, ranging from former politicians (including Tony Blair, Al Gore, Julia Gillard), sportspersons (including Mo Farah, Wladimir Klitschko, Brian Lara), to celebrities (including Charlize Theron, Priyanka Chopra, Nicholas Hoult, Taron Egerton); this is a testament to his natural ability to form relationships with people and his intelligence. Most of all, Rory was an absolute pleasure to work with and made our team laugh a lot during our time working with him! Rory was very well received, everyone loved him and he was an absolute pleasure to work with – so a success all round. Rory was great – he went down a storm! He joined us for dinner and went around all the tables to say hello and meet our staff which everyone thought was a lovely touch. 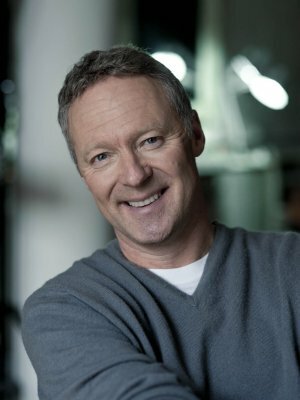 On behalf of ORT UK we would like to thank Rory Bremner for his performance at our Annual Dinner last night. He really was absolutely fantastic and helped us round off what was a wonderful evening for ORT UK! We always like to entertain our audience at the end of the night so they go home with a smile on their face. He certainly achieved that and I would appreciate if you could forward our sentiments to him. I hope he enjoyed the evening too! Rory was an absolute pleasure to work with. The awards were a great success. Rory was absolutely brilliant. He had the audience in stitches and we have had fantastic feedback about how much people enjoyed him. It was lovely that he stayed for dinner and sat with some of the guests. He really was a joy to work with. What a superstar Rory is. An absolute delight to work with. So talented, considerate and lovely. Totally charming man. Please pass on all our thanks. He was superb. Everyone loved his act and to have him as dinner guest was truly amazing. The party was great and Rory was very entertaining. The event was great and I have nothing but praise for Rory. He managed the various stages of the evening very well and entertained the top table through the night. Rory was superb last night, lots and lots of laughter, he was also cornered by a few Members afterwards so good of him to engage with them! Can you pass on my (and everyone at PFIs) thanks to Rory Bremner please? We all thought he was spot-on, not just with the jokes/impressions but also with the way he controlled the audience in what could easily have been a very boring presentation. Clearly he puts great effort into these things, which is much appreciated, and there was not one negative comment about him. It was nice that he had time for us all too. Nice bloke. Definite contender for the IFR Awards next year. Thanks for everything you did at the Fishing News Awards 2017 evening. The feedback received from guests has been extremely positive, with everyone expressing sincere thanks to you in particular for giving them an evening to remember. It was also greatly appreciated that you circulated freely round the tables, and kept the presentation of awards alive by injecting humour and wit to the script at every opportunity. Thanks Rory.